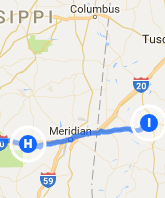 Trip Log – Day 382 – Newton MS to Demopolis AL | How Will We Live Tomorrow? Every long distance cyclist worth his or her salt has tales of bad weather. Few have to wait over a year for Mother Nature to get long-toothed and ugly. My journey has been blessed with freakishly good weather. Until Mississippi I woke to rain exactly twice and never failed to reach my proposed destination. I’ve just finished three days of rain – the entire width of Mississippi from Catfish Row in Vicksburg all the way to Toomsuba. As weather sagas go, mine is still lightweight. The rain fell from still and somber skies. Mississippi showers are less dangerous than Kansas’ crosswinds; I got wet, but not blown or destabilized. 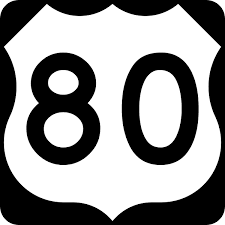 Except that US 80, which girdles the state, is so narrow and has a rumble strip that forced me to ride inside the white line and signal every car in each direction to make sure I was seen. My left arm got a harder workout than my thighs. I woke before dawn and got out in the first grey light; fifteen miles before the drops started to fall. 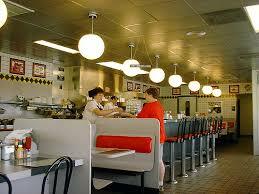 During the first torrent I decided drastic action was in order, so turned into Waffle House when I reached Meridian. Good call. Those big round lights are next-best thing to the sun. The second major downpour occurred while I chatted up four obese waitresses and an aging Black man intrigued with my rig. I devoured eggs and grits, toast and bacon and a sweet waffle, then drowned them all with coffee. 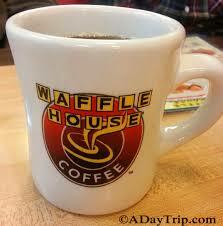 Waffle House has the worst coffee; all part of its charm. I met a pair of cross-country hikers walking US 80 from Atlanta to San Diego. (facebook.com/thehikeacrossamerica). Mississippi’s incessant rain was harder on Jacob Whedbee and Musunga Mubuso than on me. The precipitation did not stop at the state line; it remained a steady downpour all the way to Demopolis. Fortunately for me, if not the natural environment, US 80 mushrooms to Interstate proportions in Alabama. All character is lost in the service of speed and safety, which, on this particular day, I did not mind. On my own shoulder, separated by a rumble strip, my mind drifted just as free as any sunny day. Sixty-nine miles in I realized I needed a snack before the final push. The rain dissipated. I stopped along a guardrail and ate a Clif bar. The downpour resumed. I stood along the blacktop on a featureless hill. For a moment, I considered the absurdity of my trek. What am I doing in Alabama – for the third time – in the middle of December, in the middle of a rainstorm? Then I got mounted the bike and pedaled on. Within moments it didn’t seem absurd at all. Bicycling is just the perfect way to get most anywhere in most any weather. This entry was posted in Bicycle Trip Log and tagged Bicycle Touring, Clif Builder's Bar, Demopolis AL, Jacob Whedbee, Meridian MS, Musunga Mubuso, thehikeacrossamerica, Waffle House. Bookmark the permalink. Sorry about the bad weather. As always, you are making the best of it. I do like the waffles at Waffle House.